Most of us try to find the Google answers to at least 3 – 4 questions on a daily basis. Considering this, the apps or websites which host content about which people ask questions are bound to have huge traffic rates. Wouldn’t you want your website or app to be one of the most talked-about ones? Wouldn’t you want to put up content which prompts user discussions and helps keep you in the news? Finding content ideas that trigger user interaction to bring about a real change in your field of work is a very challenging task. All the more if you need to put up such content on a regular basis. What would help would be a way in which you could find what makes users tick every now and then. What are things people like talking or asking questions about? Bloomberry is a unique online tool that lets you find out just that. Bloomberry can be viewed as a database of real questions asked over the Internet. The database keeps expanding as more questions are added each day, and the tool, quite intuitively groups questions into topics so that its users can perform easy analysis. This tool is ideal for content writers, copywriters, market researchers, product innovators, and all those who’re constantly monitoring the Internet to come up with ideas that can catch people’s attention. 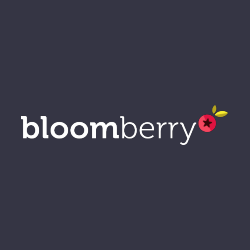 Bloomberry is like an elixir for the marketing industry. 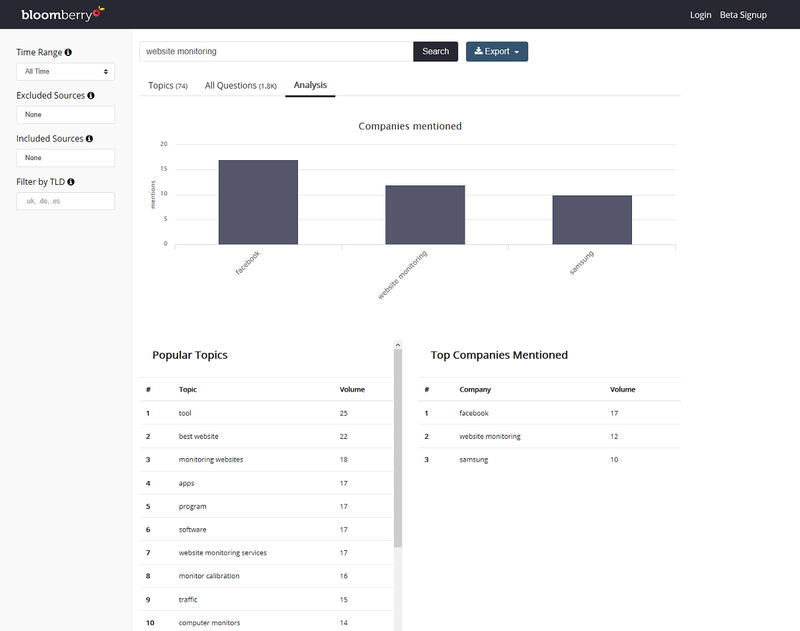 It lets you know exactly what it is about your industry or brand that people discuss the most. Alternatively, you can use it to find out the most popular questions asked by your target buyer. Consider this scenario – you’re an online marketer who has been given the task of promoting a new product for a renowned company. You know what the product is about but can’t come up with the exact lines to hit the perfect sales pitch. Wouldn’t it be great if you could know the exact aspect of that product that people are most talking about? That would help you design your promotional strategy around that very aspect and sell your content like hotcakes, wouldn’t it? That’s where Bloomberry steps in. It introduces you to questions that are already engaging audiences across the globe. It lets you know what topics people are talking about most on social platforms, so that you can use that knowledge to create the perfect marketing strategy. The tool has been created by the team behind BuzzSumo and it is extremely easy to use. It’s simple and it’s neat, and that’s what’s awesome about Bloomberry. To start using the tool without having to register, just land up on its homepage and you’ll see a large textbox waiting to accept your input. Type the name of a product or a topic about which you wish to find the questions asked over the Internet. We typed in a rather common word searched by millions of users across the globe, ‘recipe’, and clicked on ‘Go’. Time Range – to narrow down the time range of the search, for example, questions asked over the past 6 months, or part year, or past 5 years, etc. Excluded Sources – to exclude particular question sites from our search results which we might have already searched, for example, yahoo, aol, quora, etc. Filter by TLD – to filter our search results by country by specifying country extensions, for example, .uk, .de, .au, etc. This was our first trial of the tool so we decided against using any filters. The tool didn’t take much time to display the results and when it did, we were impressed. 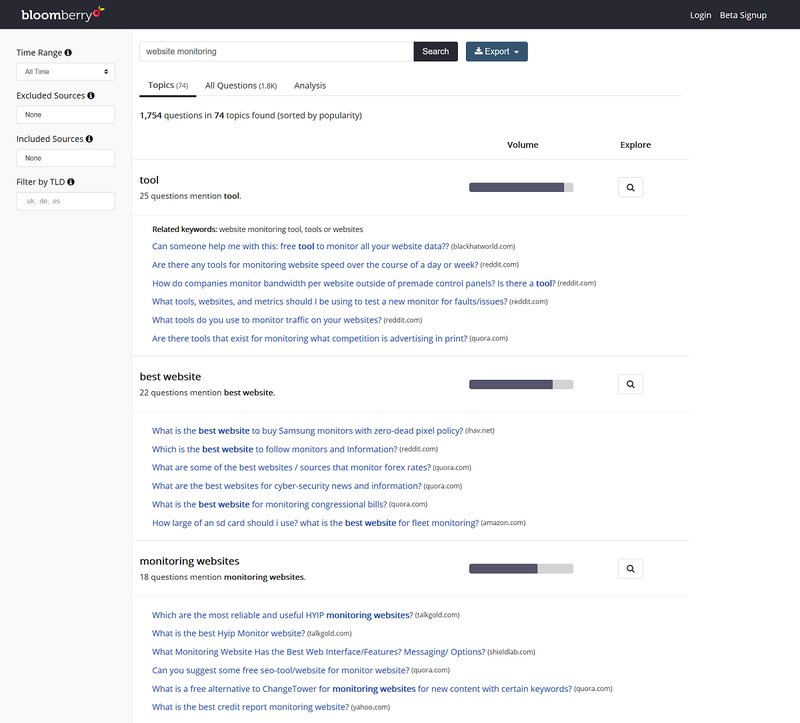 We would like to state here that if you didn’t really understand the purpose behind building the tool up until this point, after viewing the tool’s result page and the way it groups data by topic, you’ll have no doubts. The results showed us some of the most asked questions about recipes grouped by topics which were created based on phrases using the word ‘recipe’. So in effect, when we searched for questions about ‘recipe’, what we got was a page filled with the most asked questions mentioning the phrase ‘best recipe’, ‘favorite recipe’, ‘substitute’, ‘easy recipe’, ‘recipe ideas’, and so on. A mere look at the questions and we could think of almost a hundred recipes mentioning ingredients or dishes that people find most over the Internet. And we could very well imagine the kind of response we’d get if we posted such a recipe on a blog / website. Thus the tool actually did what it promised – showed us what people talk most about regarding our industry and helped us come up with content ideas that would spark real conversations among our target audience. In addition to achieving its core purpose, Bloomberry offers analysis capabilities through a convenient ‘Analysis’ tab on the results page. It depicts the contents of the results page graphically and in a listed manner to allow you to quick draw insights and make decisions. You can also view all questions without any particular grouping through an ‘All Questions’ tab. Exporting data to CSV and Excel is also offered. The reason there’s no pros and cons section in this review is that we actually couldn’t find a downside to Bloomberry in its current state. Maybe when its full paid version is launched and free features become limited, we’ll have better luck at spotting downsides. Thumbs up to this brilliant tool. Posted July 7th, 2017 in Content. Tagged: needs, questions, quora, reddit, search.